The Lü†hårt • Skull Series artworks, are a meditation on death, a rumination upon our inevitable demise, a reminder of the preciousness of life, and of the infallibility of ever–constant change. 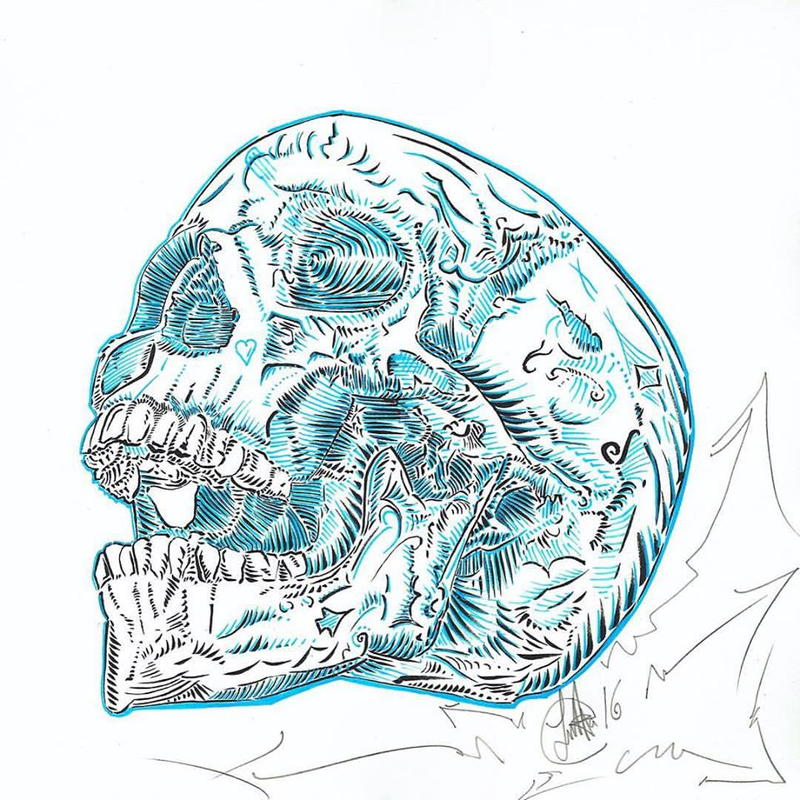 Tibetan Buddhist philosophy regarding impermanence, is the key to the skull series. The Lü†hårt • Oceania Series • Beauty and motion of the sea, rendered in Japanese ink, and brush on paper. Lü†hårt • Skull Series • Impermanence and change, the only constant... Life, the most precious of gifts, is most memorable and cherished, in the face of death. Lü†hårt • List of art exhibitions with work by Southampton's own, Lutha Leahy-Miller. 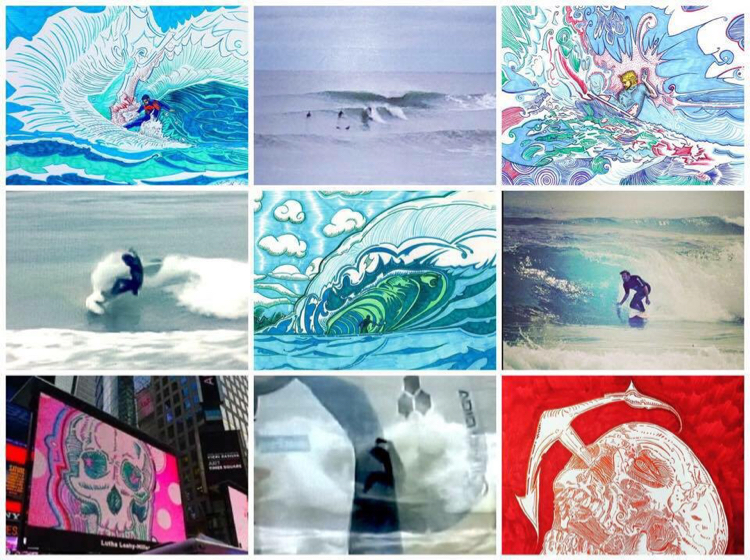 Daily Hamptons Surf Report & Forecast by Southampton's own, Lutha Leahy-Miller. 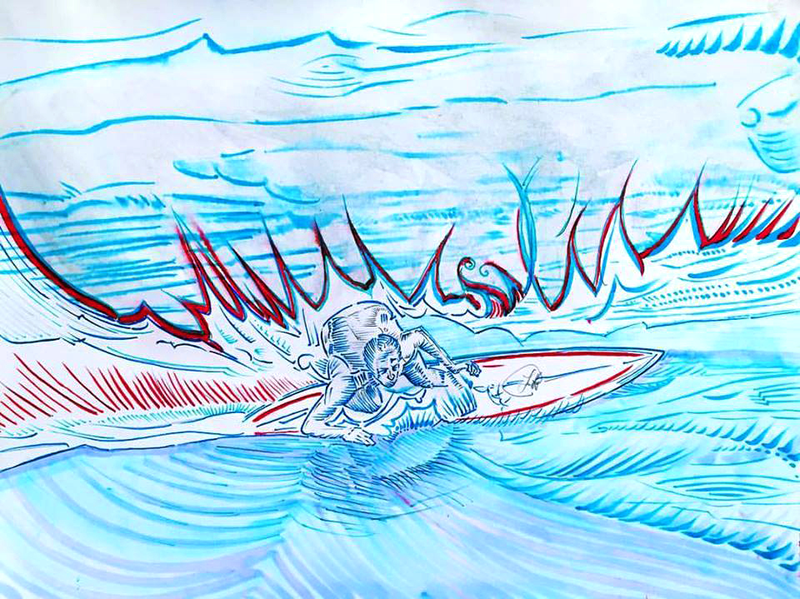 Lutha has been surfing and making art in the Hamptons since the late 1980s. An avid surfer, formerly ranked 3rd in the North-Eastern USA, Lutha has worked, lived, and surfed, in Hawaii, Mexico, California, France, and the Carribean. 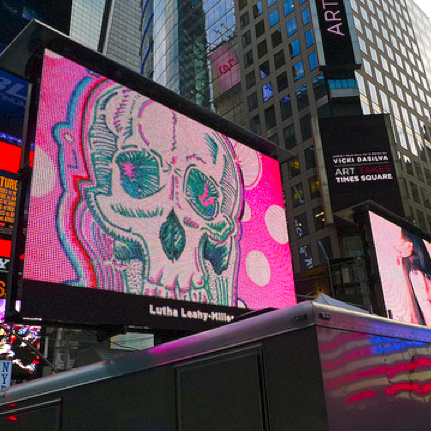 Lutha has also been exhibiting his art under the Lü†hårt moniker for more than a decade, throughout the Hamptons and NYC.